If you have a hard time finding ground bison where you are, feel free to substitute a lean ground beef. Add the butter to a sauté pan over medium heat on the stove and melt. Add the 1-1/2 cups onion and mushrooms to the sauté pan and cook over medium heat until they are evenly browned and caramelized. Add Chain Reaction™ and Cattle Drive™ to taste for seasoning. While the onions and mushrooms are cooking, Add the bison, onions, worcestershire, Chain Reaction, Cattle Drive, and Uncontrolled Chain Reaction (if using) in a mixing bowl and mix until blended and onions are well distributed. 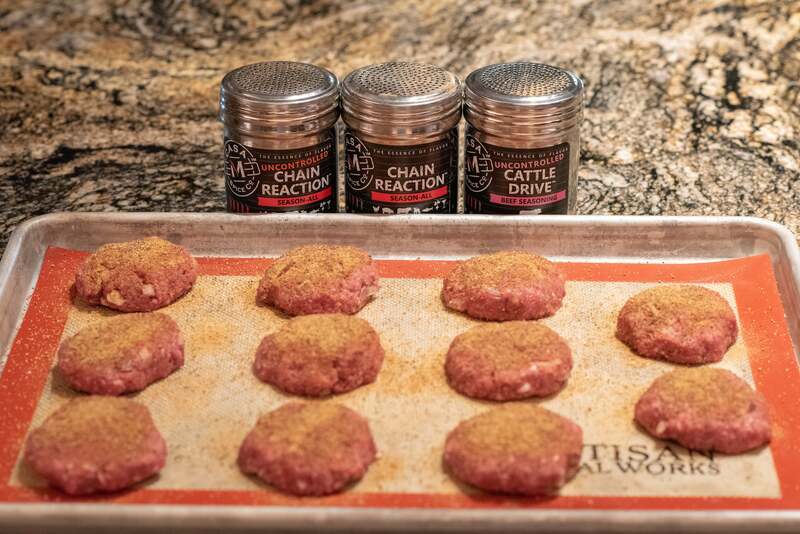 Form 12 uniform sized slider patties and place them on a cookie sheet to season. Sprinkle both sides of each of the slider patties with a touch of salt and Cattle Drive™ or Uncontrolled Cattle Drive™. Quickly, but gently, get the slide patties on the grill and close the lid. Cook for 1 minutes and check the bottom for grill marks. 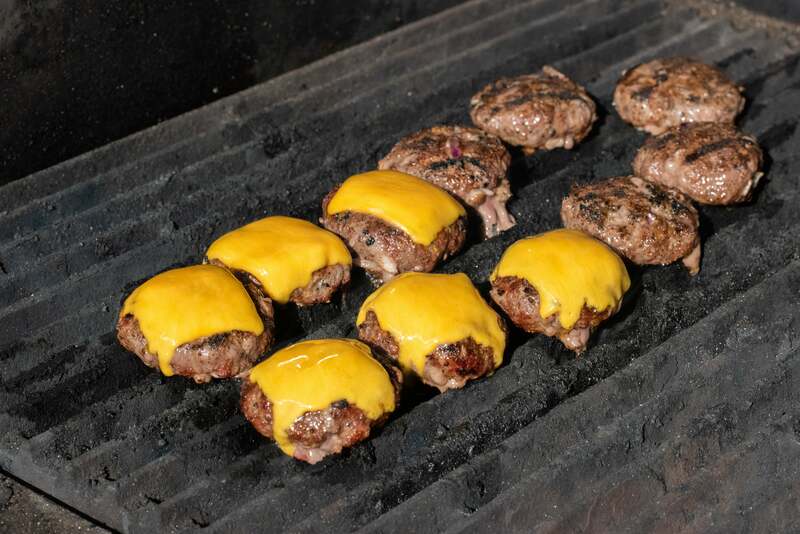 Once there are grill marks, flip the sliders and add a slice of cheese. Sprinkle With additional Cattle Drive™ or Uncontrolled Cattle Drive™ to taste. 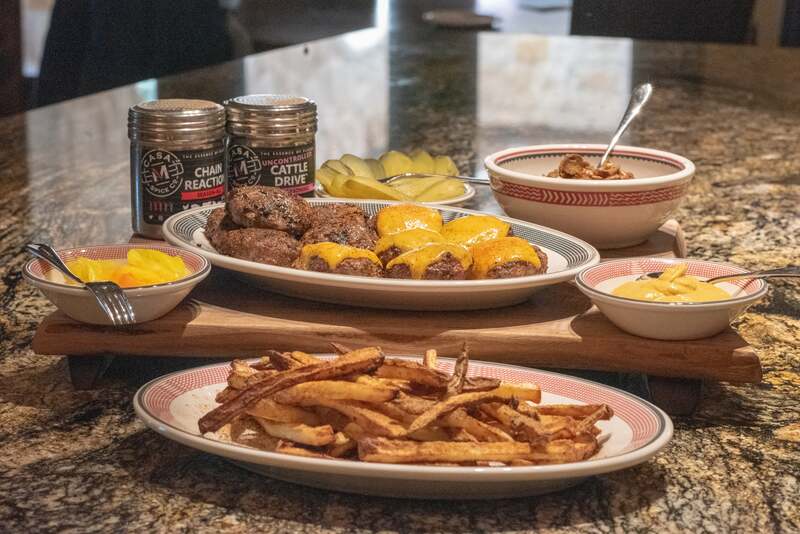 Let the sliders cook until the bottoms show grill marks, then pull from the grill and onto a platter. Assemble and garnish your sliders as desired and serve immediately!